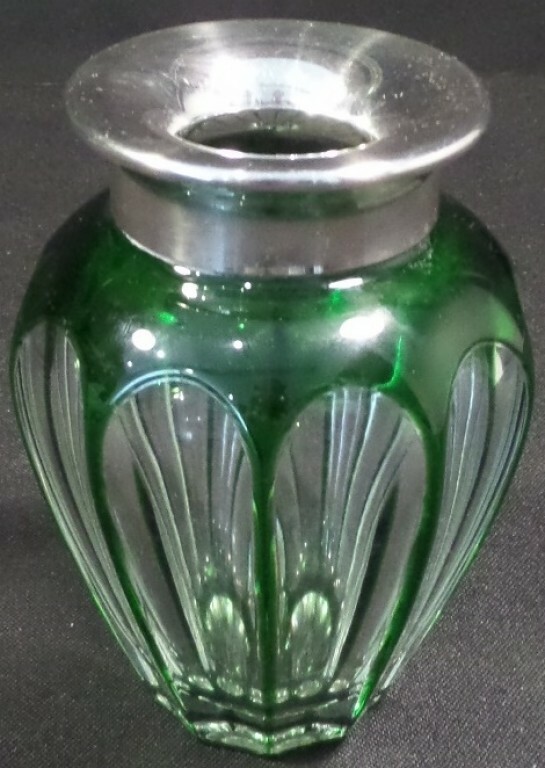 This vase by Asprey measures 4.5" tall. 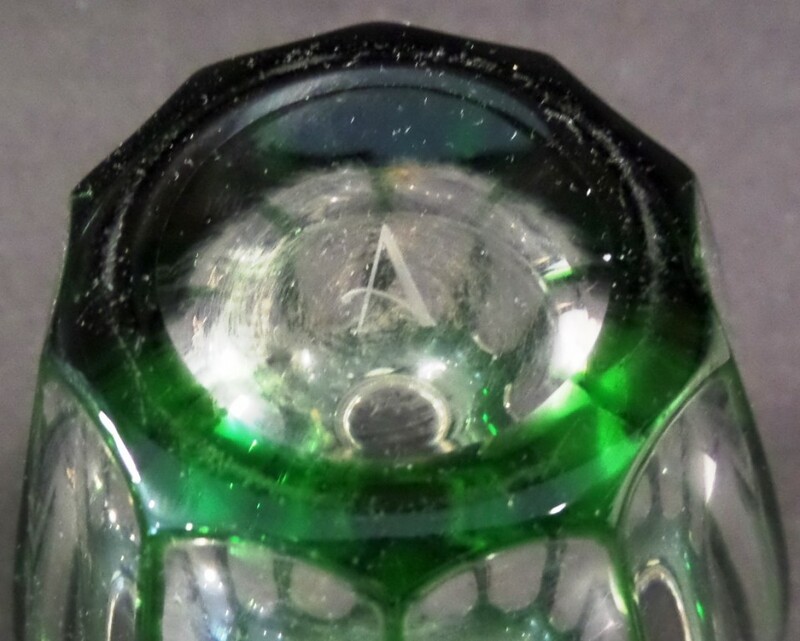 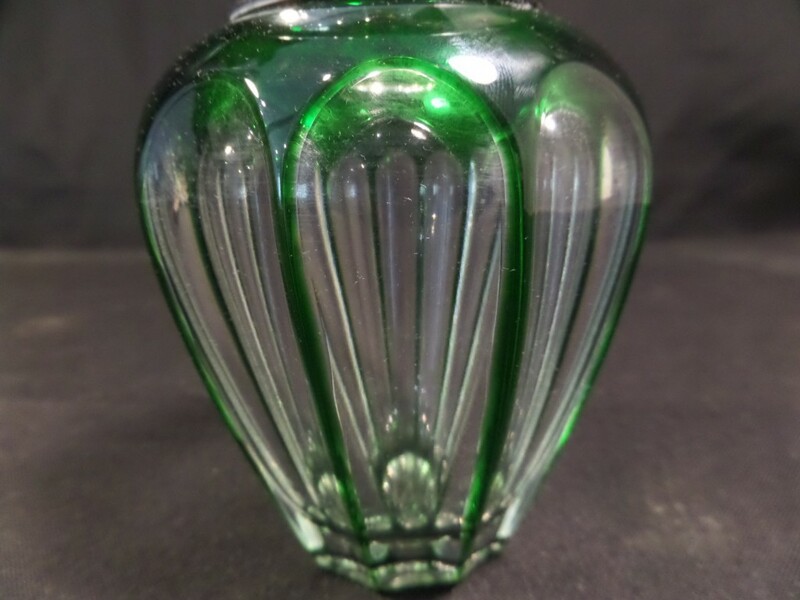 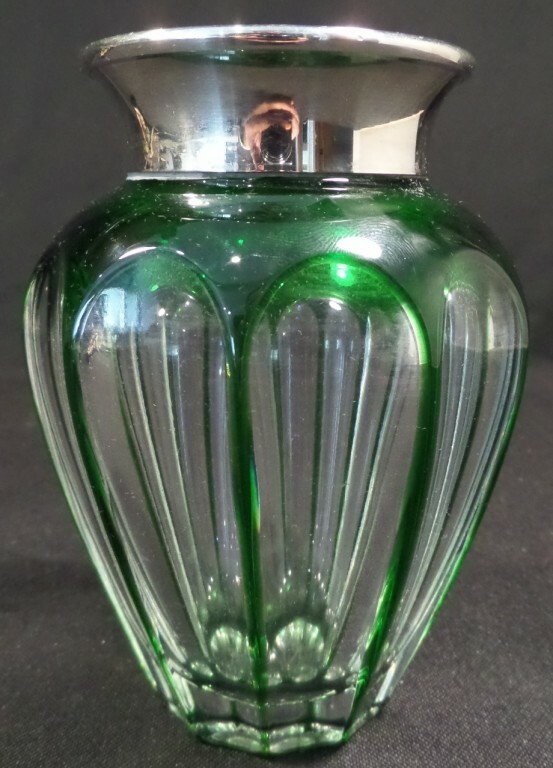 The crystal has a Deep Green draping down the sides of the vase. 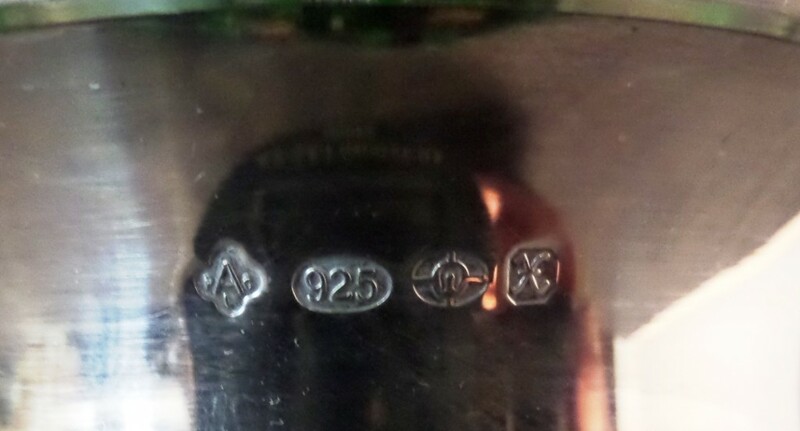 Sterling markings can be seen in the photos.